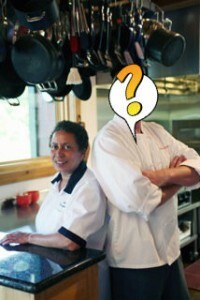 We are Genny and Chef ‘What’s His Name’ and our story is one of a natural progression of our talents and dreams. We hope you will feel comforted in our story and our quest. Have you ever had a dream and wished not to wake up? Or perhaps one you could repeat and explore further? If so, that would set the stage of how we progressed to start our B&B. Most B&Bs are established (mainly historical) buildings and settings. We took our diverse talents and 9 acres of virgin forest and expressed ourselves into Terrapin Peak Bed, Breakfast & Beyond.It started with a love for Lake Tenkiller in 1993 while vacationing with friends. Chef What’s-His-Name designed the menus to please our friends and did all the cooking. Genny did all the planning and tackled most of the clean up. We all enjoyed the lake together. Vacations became longer and more frequent as well as did our friends that shared our setting. We felt it would be more economical to build a vacation home and wanted to upgrade the vacation experience. Naturally we were hooked in the dream wanting to express our talents and not wake up. Great friends, Great food, Great fun and a comfortable stay gave birth to the idea of what a Bed, Breakfast & Beyond for a retirement might become. Check out our short video below to see more of Terrapin Peak. And we hope to be welcoming you soon.